Voisins Department Store in St Helier, Jersey, the oldest family-run department store in Britain and users of the Swan retail system for many years, have recently gone live with an integration between Swan and Pennies – the digital charity box. 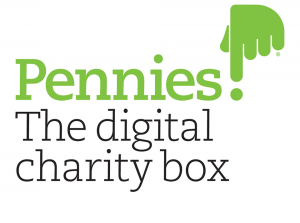 Pennies is the digital upgrade to the traditional charity box, using EPoS to give customers the option to donate a few pence to charity when paying for goods or services by card with a single press of the button on the EFTPoS terminal. Retailers choose the charity or charities they wish to support and decide on the donation amount – either a set amount or rounding the total up to the nearest pound – all of which helps to boost the retailer’s charity funding and reinforces their association with good causes. Swan can advise how to get involved and guide you through the process.